Why WordPress Host and Management ? Tired Of Poor WordPress Host and Management? If you are tired of distant hosts, automated phone systems that waste your time, high employee turnover and/or an utter lack of knowledge for ( or interest in ) you and your business … well, than that is just a start for why having this type of WordPress Host and Management service will matter to your business! 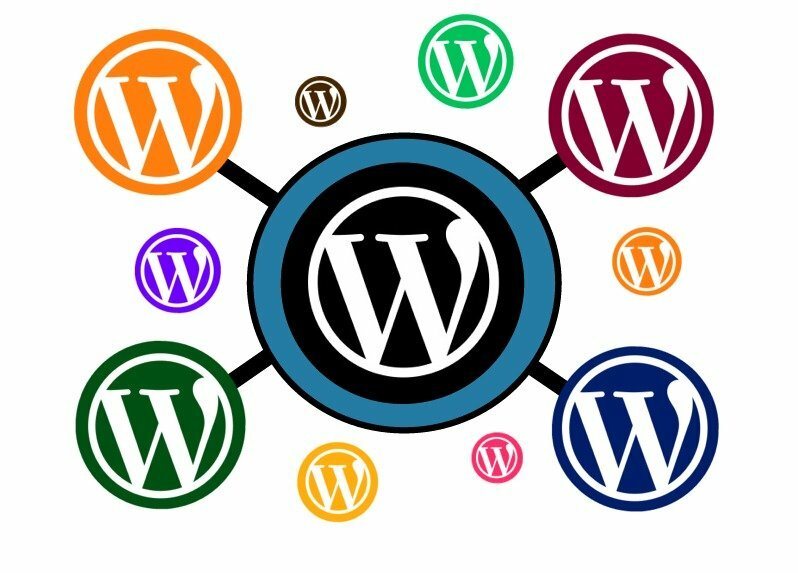 WordPress itself, its themes and plugin applications all receive updates regularly in order to both advance the site’s software and to harden code against vulnerability to hack. Day in and day out we are contacted by business owners using WordPress who may host somewhere (? ), but see no management (!). Worse, they have been hacked and need immediate help! Keep in mind, any update can clash or cause breaks so as managers we are set up to deal with all of that. What’s more, if updates are not being managed the site will become rapidly more vulnerable to hack and malware infusion – a business owner’s worst nightmare! We are WordPress managers with host, security, e- commerce, search optimization and social media plans for the most particular need. AND our comprehensive WP security plan offers the top security for WordPress PLUS (if it is ever needed) a commitment to manual malware cleaning and the re- submission to Google all for a low monthly cost. https://www.kineticknowledge.com/wp-content/uploads/2015/08/kinetic-knowledge-logo2.png 304 300 Kinetic Knowledge https://www.kineticknowledge.com/wp-content/uploads/2018/08/KKLogoDarker-1.png Kinetic Knowledge2016-10-26 15:17:532016-11-23 14:33:08Why WordPress Host and Management ? Advanced WordPress Website Security Plan! Our Advanced WordPress Website Security Plan offers heavy duty pre- emptive security ( see details below ) designed for WordPress websites. PLUS IT PROACTIVELY INCLUDES A) ‘manual malware removal’ AND B) resubmission to Google, a couple gigantic headache items you will rarely see included in other plans. It makes this plan both comprehensive and (competitively) cheap! The best defense is a proactive one. Why NOT have a plan already in place that will save time, stress and your bottom line?! Manual malware removal, for when a hack gets through, is what virtually all other WordPress security plans leave out due to the time, effort, knowledge and cost involved in doing it correctly! There is no perfect security solution or guarantee because hackers come up with new methods every day. And ONLY YOU can protect your personal devices locally, which when ignored can rapidly become the problem. Our plan gives you peace of mind by including ‘manual malware removal’ PLUS Google re- submission when needed! And again > this plan includes manual website & database malware removal PLUS re- submission to Google when needed! $21 per month > That’s heavy duty security, strictly designed for WordPress websites, by Kinetic Knowledge! https://www.kineticknowledge.com/wp-content/uploads/2015/08/kinetic-knowledge-logo2.png 304 300 Kinetic Knowledge https://www.kineticknowledge.com/wp-content/uploads/2018/08/KKLogoDarker-1.png Kinetic Knowledge2016-10-21 18:59:362016-10-21 18:59:36Advanced WordPress Website Security Plan! WordFence CEO Mark Maunder released a post today detailing how the latest WordPress release 4.4.2 should be executed immediately! Why Is WordPress A Huge Marketing Advantage?! For those marketers considering their next website solution, WordPress outperforms all other content management systems! According to W3Techs Web Technology surveys WordPress boasts a 58.9% market share, literally blowing all other competitive website solutions away. And there are obvious reasons for why WordPress is so sought after by so many serious business marketers! WordPress is completely portable, so its’ owner controls it! What exactly do we mean by portable? It means that an owner can move her entire WordPress website to the next host at any time and without losing a thing. Not only do many website solutions trap users in their host environment, but even if they ever let a marketer go it’s unlikely there would be readily available support (general knowledge or host) outside that environment anyway. A trap? Yes, that is a trap! Ultimately a SERIOUS marketer (are you?) wants to own & control her web presence to a degree possible. She wants to maintain the integrity of her websites’ past, current & future historic digital footprint and she wants to do it without ever having to look back! Some website solutions offer some improvement, and many simply fail to advance at all. Yet the web, search engines, browsers, security requirements and consumer expectations continue to move forward at a rapid pace. Serious marketers must not only recognize what they are getting themselves into, but they should certainly strive to be in sync with all of the above. For this, WordPress leads! In fact, there are at least 3 major WordPress upgrade releases per year where users see new and/ or better features. There can also be bug fixes or security patches as often as every four months and not necessarily because of an emergency, so much as the software is always scrutinized & improved. WordPress never rests on its laurels! With an enormous worldwide open source community of innovators, designers and developers ( that by the way base their livelihood on WordPress) there are new plugin apps, security patches, code fixes and website themes arriving at a constant pace. And while you may need help vetting what’s best for a given need, the point is there are virtually limitless options. Thousands of open source plugin applications means that anything from an elaborate gallery of project images, to an e-commerce storefront to a multi- website business network can be developed without ever having to build the core base software. And with unlimited choice in options for that unique brand, it should come as no surprise that WordPress is the most universally used website software in the world. While most solutions offer none, the SEO capabilities built into WordPress are without rival. Google’s own Matt Cutts acknowledged that WordPress carries about 80% of the tools needed to be search engine friendly and competitive. In addition to that native ability, there are also easy to use, highly effective SEO plugins to use that take all of the stress out of creating good on- page SEO. Let’s not be naive, being visible also depends on the level of competition, but what is on- page can be half the competitive SEO battle. WordPress is extremely affordable. In fact, its’ use can be free! However, to use the customize- friendly WordPress.org one will need (minimum) to purchase a domain name and a hosting package. If there is a need for sophisticated customization that’s likely going to cost as well. Looking for something simple with all the basics, than WordPress.com can be the fix! It provides free hosting and a domain name, but the downside is its’ one small part of a larger installation of other free sites and the URL will be a sub-domain of WordPress.com (i.e. mybusiness.wordpress.com). What’s more, there is a retained right to run 3rd party advertising and there can be limited customization available. Serious businesses choose WordPress.org, where there are thousands of solutions for any need and all typically available at a very low cost. Versus the cost of building a custom hand-coded website, WordPress.org is literally cheap. And with constant updates and advancements (assuming they are managed), it will never be obsolete! These are just a handful of the seemingly countless benefits that highlight why WordPress is the best website software for marketers. At Kinetic Knowledge we are there for you every step of the way when it comes to WordPress, specialized WordPress Host & Management Services and all of your digital marketing needs. Top 10 Reasons WordPress Is Important For Your Business! https://www.kineticknowledge.com/wp-content/uploads/2015/08/kinetic-knowledge-logo2.png 304 300 Kinetic Knowledge https://www.kineticknowledge.com/wp-content/uploads/2018/08/KKLogoDarker-1.png Kinetic Knowledge2016-01-12 23:43:252016-02-19 15:23:05Why Is WordPress A Huge Marketing Advantage? !